Delhi is a diamond in the rough. The most appealing places and insightful experiences are usually intertwined with the most lurid and vulgar of conditions. So, be prepared to experience a place that is so completely complex and layered that it may lead you to either the enlightening depths of human nature or to want to fly home immediately. Delhi boasts many impressive and attractive sites and scenes such as its architecture, food, culture, and history. However, the allure of Delhi is most often aesthetically swept under the rug because such delights usually come with a little bit of dust, smog, diarrhea, poverty, and annoying hustlers and beggars(One should know the art of tackling them). One of the most famous landmarks of Delhi is the India Gate. This gate was built in 1921 by Edwin Lutyens, a leading 20th century British architect who built and designed most of New Delhi. The India Gate stands as a monument in commemoration of the fallen soldiers of the World Wars and Afghanistan Wars. In addition, Delhi as it is known today is made up of two very contrasting parts: Old Delhi and New Delhi. Old Delhi is the Islamic portion of the city. Such Islamic influence stems from between the 17th and 19th century when it was the capital of the Muslim empires. On the other hand, New Delhi is the more modern version of the city, and was the capital of the British Empire from 1911 up until 1947 (India's Independence). 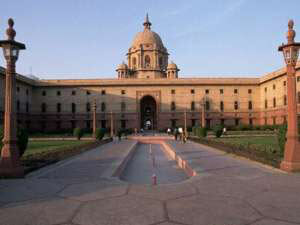 As a result, New Delhi has the imperial-style and governmental buildings. Most people who visit Delhi state that the contrasts and contradictions found in Delhi put their human threshold to its limit. Yet, those who do take Delhi for what it is and not for what it could be, tend to emerge with a much higher appreciation of the city and a more worthwhile experience.